This follows the successful launch of the first 5G mobile site in Dublin last November. Vodafone will more than double the 5G footprint currently available as it prepares for increased demand from businesses looking to test 5G technology. The coverage extension allows for more businesses in the capital to trial 5G products prior to their launch in the general market place later this year. The new technology differs from 4G in its ability to connect devices more quickly, with lower levels of 'latency' and promises speeds up to 50 times higher. For the average user, the technology should end "buffering" when watching movies on a handheld device. It would take connections to a new level, facilitating the adoption of new technologies. For example, using 5G, a self-driving car could respond to a signal instantly rather than waiting a fraction of a second. It is also expected to be crucial in linking millions of new sensors in everyday products and machinery as automation gathers pace. Irish operators are not expected to have 5G networks up and running for normal consumers before the end of this year. 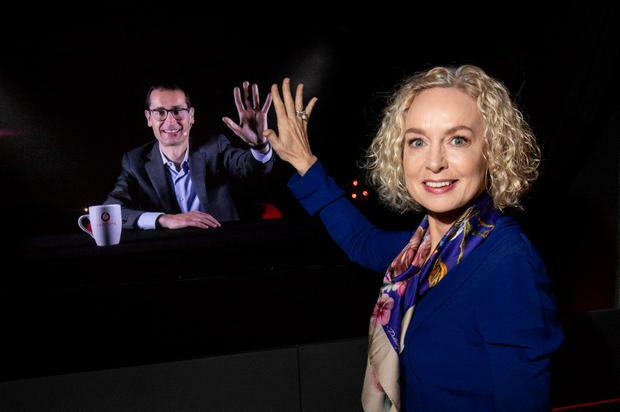 Elsewhere, Vodafone and Ericsson also recently partnered with NovaUCD, a hub for new entrepreneurs at UCD, to create a 5G accelerator programme. Launched in November, the combination of this partnership and the testbed provides a unique end-to-end 5G framework in Ireland. Vodafone will continue to work with existing partners and the industry in general to extend the opportunities for collaboration, the telecoms giant said. Separately, Vodafone has announced it has launched 4G Calling (VoLTE) to its customers. This will enable customers with compatible handsets on Vodafone's 4G network to get faster call set-up times and high definition voice quality. Didier Clavero, Vodafone Ireland chief technology officer, said: "Since entering the Irish market 15 years ago, Vodafone has been the single biggest investor in new technology in the Irish telecoms industry, with over €2bn invested to date in building and maintaining the network. "With over 98pc 4G population coverage across Ireland, we continually work hard to maintain our position as the leading voice and data mobile provider in the country." The race to make a 5G-ready device available to customers was kicked off by South Korean technology giant Samsung, which recently introduced the first mainstream 5G smartphone, the Galaxy S10 5G.